I've said it myself – and I've heard others say it, too – "Next time I'm getting a Mac!" When our computers act up, when Windows shows us nothing, when the wrath of Bill Gates cuts us off from the world with a frozen system…that's when we start to think of all the people we know who love their Macs. I haven't done it…yet. 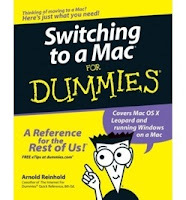 But if I do, I'll have a guide thanks to cousin Arnold Reinhold, who has written a Dummies book on switching to a Mac. On his support site for the book, DitchMyPC.com, he says, "My book is aimed at PC users who are thinking of giving Apple's Macintosh computers a try, as well as those who have already bought a Mac and are trying to make the switch." Sounds like just what I'll need! Some people give so much, and when you are on the receiving end of their help, somehow "Thank You" is not big enough. But it's what we have, and so to make it bigger, I want to share with people who appreciate the importance of giving. Allen Hainge has given me a great deal in my career, starting with his confidence in my ability when he invited me to be a CyberStar™. Back then I was still a novice about technology but he took me into his group of highly tech-savvy professionals. 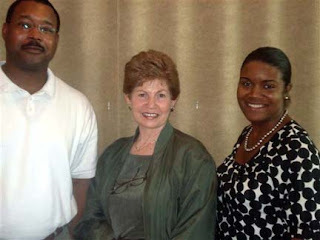 When we get together as a group, a we did recently in Virginia, I still feel like the new kid with so much to learn. But the CyberStars are like Allen himself – encouraging, giving, sharing people. Lately I've been working on revamping my web site, and again, Allen stepped up with an offer of advice. He took the time to review and critique my site, and made many valuable suggestions for making it more productive. It's still a work in progress, and there is plenty left to do, but HomeRome.com is on its way to being a better site. 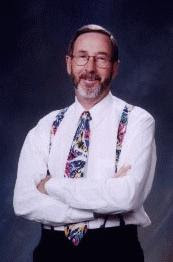 Allen Hainge, you are an example of the best in the real estate profession. Thanks for your encouragement, your advice, and all the good things you do. A couple of months ago I shared the story of Kaliq Simms. 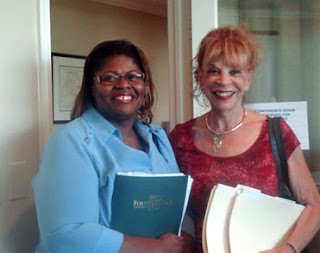 We met six years ago when I showed her and her husband a property that they did not buy. But she remembered me, and this time when they were ready to sell, they came to me to handle the listing. I knew that this would be a lovely experience because Kaliq had impressed me when we met before. Sure enough, Kaliq and Joe where a delight to work with. They were sensible about pricing and recognized that today's market is not the same as a year ago. We set a price that gave them what they wanted, and quickly had several showings. In just about a week we had a contract! A few days ago we settled, and like everything else about dealing with Kaliq and Joe, it was smooth and pleasant. The smiles say it all - everyone left the settlement table feeling good. Transactions like this are what keep my business strong no matter the market, and why I deal almost exclusively with referrals. I know that Kaliq and Joe will call me when they are ready to move again, and that they will tell their friends and family, too. Don't Believe the Gloom and Doom! You can't get away from them – the "experts" who are eager to declare the worst. Yesterday's Baltimore Sun included this charming statement from an economist: "The existing-homes market is now in free-fall." But I also saw an article that appeared in the online Ventura County Star in late September, and it has one of the best discussions I've seen of the immense gap between the stories of real estate market meltdown that seem to be everywhere, and the reality you see when you step back a bit and take a calm look. The article talks about what they are seeing in Ventura County which is in Southern California along the coast between Santa Barbara County and Los Angeles County. But much of what is true there is true elsewhere in the country, including my area of Maryland. The gist of it can be summed up in a paraphrasing of Mark Twain's famous quip: "Don't worry, reports of the industry's impending doom are highly exaggerated. Buyers are still buying and sellers are still selling." Sure, the market isn’t what it was a few years ago, but there are many in the real estate business who believe the market was due for a correction, just as the stock market often drops when Wall Street believes that stocks are overvalued. The thing is, there are many positives in the market now. Mortgages are still available at historically low rates, and the economy is sound. 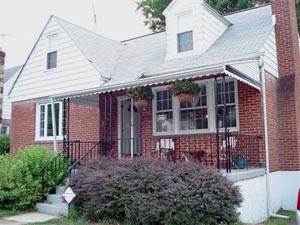 There are still special programs for first-time buyers as well as safe and creative financing for other buyers. Like averages (which we know are meaningless! ), headlines tell only a small part of any story. Certainly getting a good price for your home in a sale is important, or getting a great deal if you are buying. As the article points out, "People need to look at their own housing needs and not listen to others. You don't buy a home to make money, you do it as a place to raise your family, to put down roots, to feel secure." Housing markets go through cycles. The down markets follow up markets which follow down markets. 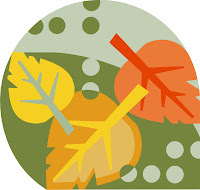 People who have been in the industry long enough recognize they are as natural as the seasons. And the real estate professionals who have built their careers on service and value will find the ups just as exciting as everyone else, and the downs not nearly so deep.